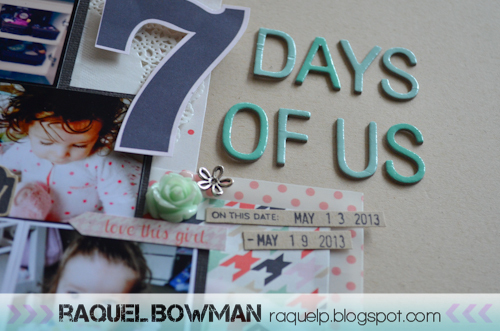 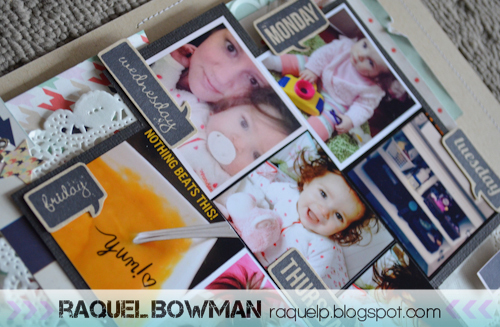 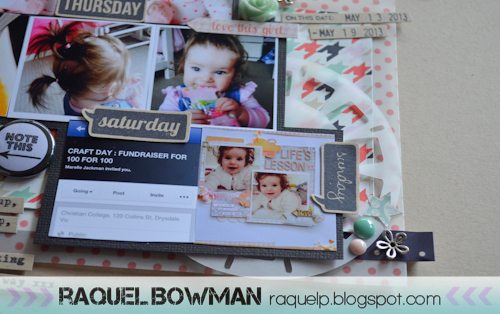 Well today I am here to share my June layout sample for this month's Kraft it Up Challenge. This month your challenge is to create a 'PROJECT LIFE' inspired layout, use a week out of this month, a minimum of three photos, more if you want to and you MUST journal about what has happened that week. 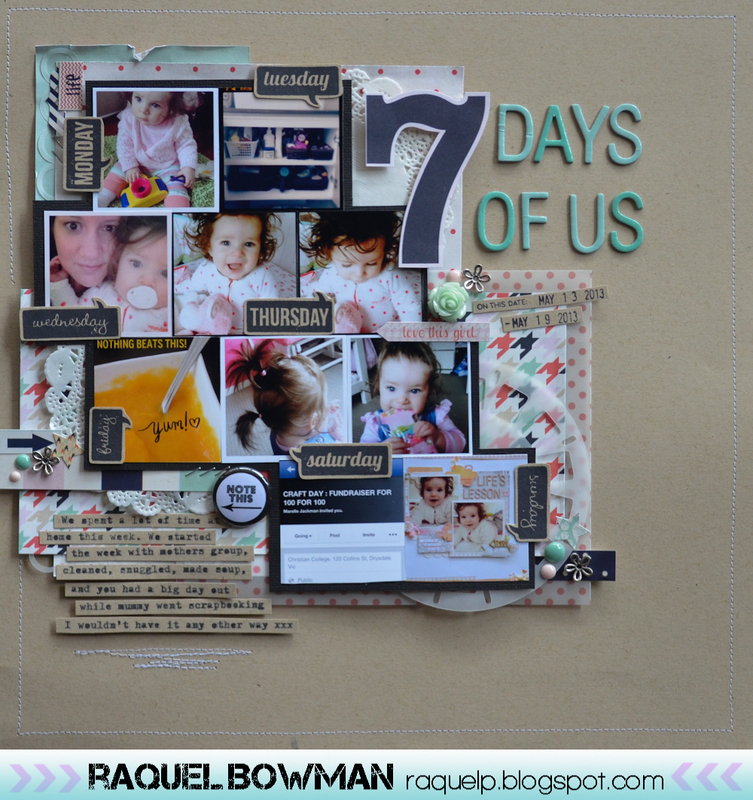 This was a bit of a challenge, as I have attempted Project Life pages in their traditional form but not using the design and theory principles on a layout. 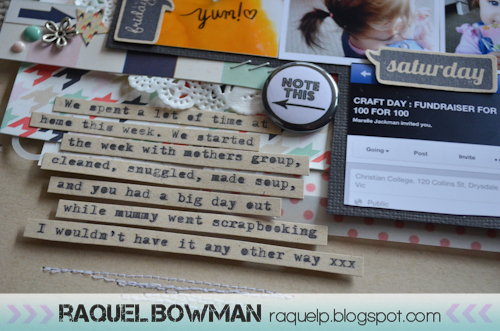 I used my Silhouette and a Silhouette Store cut file to cut the viewfinder out of Vellum.